We’ve backed some visionary companies in the HealthTech space over the past few years and we’re very excited to add doctorly to our growing portfolio. Founded in 2017, doctorly provides a SaaS solution to save doctors much needed time, money and increase efficiency. The simple practice management software addresses inefficient and outdated administrate processes, cutting admin time by an impressive 50%. Investing alongisde Pioneers Ventures and Target Global in their pre-seed round, we see huge potential in this impressive team to tackle an outdated and cumbersome system that impacts doctors the world over. 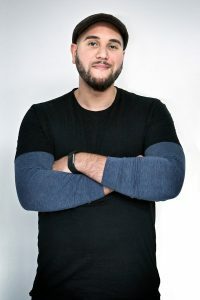 We spoke to doctorly CEO and Co-founder, Samir El-Alami about what they’re building and why doctors across the world should be using the software along with how he found the process of seeking investment from Seedcamp. Samir, can you tell us a bit more about doctorly? We’re disrupting the way doctors run their day, because right now they’re not supported very well. They’ve got old tools and aren’t given the right ones to do their job. Some doctors are still stuck with Windows 95 and saving patient data on paper and discs! And yet these are the people we rely upon to help us live well and heal us. So we’re going to give them something that allows them to focus more on what they actually do, which is spending time with patients. How do you see doctorly scaling? We feel that the correct way to really make meaningful change in health is first to help the doctor, then help their patients, and repeat. It’s incredibly scalable: once you’ve built it then it’s just about getting it in front of doctors. And it’s universal, doctorly is needed the world over. Can you tell us a bit more about the team behind doctorly? I’ve been on the startup scene for many years now working in both Europe and Asia in CEO, Founder and CMO roles. I’ve worked across all manner of sectors: InsurTech, dating, gaming, social, FinTech, and now HealthTech – you name it. I’m incredibly lucky with doctorly to have an amazing set of co-founders and a great team. Nicklas Teicke, our COO, has a wealth of entrepreneurial experience building CRM systems and optimising less than efficient work flows and processes. Dr Archil Eristavi, decided to put his career as a neurosurgeon on pause after 17 years because he was so distressed with what he and other doctors had to go through in order to do their jobs. Anna Von Stackelberg, Alexandru Boghean, Sebastian Lau, all bring so much to the team. How’s doctorly been received by doctors to date? I think having Dr Archil Eristavi on board really helps when it comes to talking to doctors and they really buy into us when they hear his story. They see that we have their best interests at heart. We are working closely with several practices, these are our ‘innovation practices’ and they are supporting us so much in the product development and testing phases. Some of our Angel investors are also doctors, who provide invaluable advice and guidance. For us, it’s important that this product is made by doctors, with doctors, for doctors and so far the doctor community has really embraced us, and we’re excited about going live with our product by Q4 this year. How did you choose your investors? We were fortunate to have a number of investment offers for our pre-seed round. Having worked within the London startup ecosystem for a good long while, I was always a big admirer of Seedcamp. Pretty much all of my friends who had founded businesses, or worked at businesses, funded by Seedcamp had nothing but great things to say about them. So for me, having them take part in our pre-seed round was a no-brainer. What made you come to Seedcamp for your pre-seed round? With Seedcamp you get a whole lot more than the money. Their network is vast, they have a lot of in-house expertise that they are happy to share with you and you really get the vibe they are here to help you succeed, not just sit back and expect it. How did you find the process of seeking investment from Seedcamp? The pitching/investment process with Seedcamp was really excellent. The investment team ask smart questions, have a very wide understanding of different verticals and industries and are quick with their feedback.